The Dubplate Soundsystem No.10 – 08.06.16 – Radio for the People, by the People. Tonight on the DUBPLATE SOUNDSYSTEM – Special Guest ELIJAH from the MUSIQ BOX SHOW! Your HUMBLE SELEKTAH will play some of his favorite tracks from the DUBPLATE SOUNDSYSTEM’s first two months of broadcasts. ALSO, fresh from his 2 week vacation to the beautiful island of SAMOA – the Man, the Myth, the Legend…ELIJAH from the MUSIQ BOX SHOW will join us in STUDIO 1A and takeover the airwaves with a few SELEKTIONS of his own. 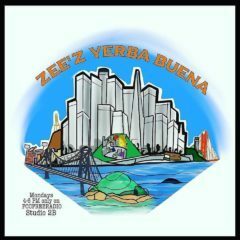 Please join us tonight and every Saturday from 6pm – 8pm in STUDIO 1A only on San Francisco’s legendary www.fccfreeradio.com.